Three to five per cent of children fail to thrive. Without early intervention this can lead to serious growth failure and delayed psychomotor development. 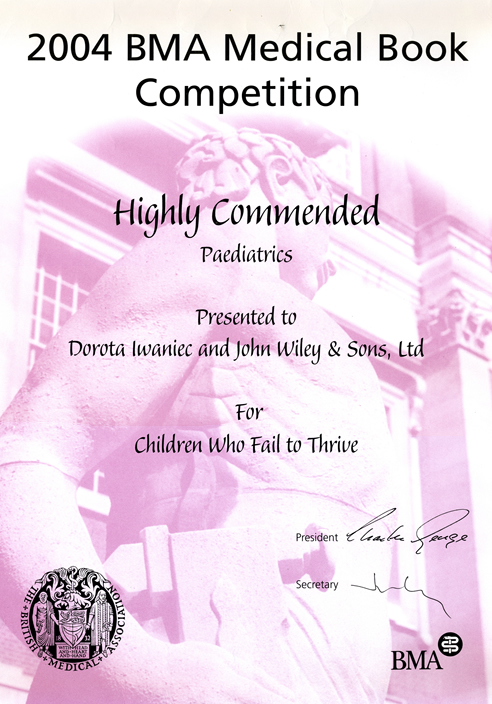 Such children typically present difficulties with feeding and sleeping, as well as other behavioural problems. Failure to grow can also involve attachment disorders, emotional maltreatment, neglect, and abuse. There are substantial variations in reasons why certain children fail to thrive, not least those connected with poor nutrition. Some children may have sucking/eating problems, or mild oral-motor dysfunction, while others may not be acquiring sufficient nutrition because of parental lack of understanding of what and how to feed, because of poverty or because of neglect. In addition, some parents may react to presenting problems and to caring tasks in many different ways. Some worry and become anxious about their children’s poor intake of food and poor growth; others become angry and frustrated; some may perceive their children’s refusal of food as personal affronts, involving rejection by the children themselves; and yet others may assume that their children are simply not hungry. Parental attitudes to food will play roles as well. How food is presented to children, and what is fed to them will often establish that fears concerning potential obesity of children will be important factors in those parental attitudes. Some will deliberately withhold food, and some will fabricate illnesses: in both instances the children will fail to thrive. On the other hand, children will also react to parental behaviour: some will be anxious, apprehensive, and fearful; while others will withdraw, become lethargic, and detached. Thus, the behaviours of parents and of children may influence each other and create tension, a sense of lack of achievement (and therefore of disappointment), and trigger feelings of depression. Such problems are not conducive to healthy growth, and vicious circles may be created which produce major difficulties requiring complex remedies. 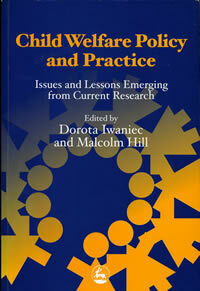 This book is essential reading for social workers, health visitors, nurses, pediatricians, psychologists and child care workers. 2. Historical Perspective of Failure to Thrive. 3. Failure to Thrive: Definition, Prevalence, Manifestation, and Effect. 4. Psychosocial Short Stature: Emotional Stunting of Growth. 5. Feeding/Eating Behaviour of Children who Fail to Thrive, and Parental Feeding Styles. 6. 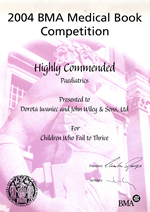 Parent�Child Interaction in Failure-to-Thrive Cases. 7. Child�Parent Attachment Behaviour of Children who Fail to Thrive and Parental Responsiveness. 8. Fabricated or Induced Illnesses and Failure to Thrive. SECTION II: THE FRAMEWORK OF ASSESSMENT. 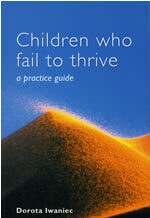 SECTION III: INTERVENTION AND TREATMENT OF FAILURE-TO-THRIVE CHILDREN AND THEIR FAMILIES. 11. Some Theoretical Approaches to Failure-to-Thrive Intervention. 12. Multidimensional/Integrated Model of Intervention in Failure-to-Thrive Cases. 13. Approaches to Failure-to-Thrive Intervention Programmes. 14. Considerations Arising from Failure-to-Thrive Intervention Research.